News | Downside UP Ltd. The anniversary year has passed almost unnoticed. Downside Up became a year older, more experienced, more professional. The Foundation is growing and developing, which is perhaps the most important thing for any organization. The Director of Downside Up, Anna Portugalova declared the results and congratulated everyone with the anniversary. Downside Up is celebrating its 21 year of existing. This is a wonderful age! We are full of ideas, plans, hopes and strength for the implementation of our aspirations! This year we paid great attention to the development of a system of continuous support for people with down syndrome from birth to 18 years and older. We interviewed families, experts and made changes to the programs so that at every stage of life the family could get the support that it needs. Also, together with our partners, we have made a lot of efforts to promote the idea of creating a system at the state level for long-term family support in raising a child with down syndrome. We are very pleased that we have more and more partners in different regions, both in NGO’s and government agencies. We still have a lot of work ahead, and I believe we can do it. Of course, not alone, but together with you, our friends. Because only together we will be able to help families with children with special needs, to quickly find support, in every corner of our country. I want to say a big thank you to our entire team, all the people and organizations that help us and have become part of our great team of like-minded people! Many thanks to all the guys with down syndrome and their loved ones, without which there would be no positive changes! Downside Up received the representatives of the international organization Charity Ball and Johnson & Johnson. They congratulated the children who are the heroes of photo exhibition and a series of # FOOTBALLVOBLAGO-videos, FIFA presentation programs in which teenagers participated in the opening videos, FIFA presentation programs in which teenagers participated in the opening of the iconic matches of the world Cup 2018 FIFA world Cup, volunteers and participants of the festival FIFA Foundation Festival 2018. Each teenager received a letter of thanks and gifts from the Foundation. The head of the Charity ball, Ethan king, gave the children soccer balls. Charity ball is a non-videos, FIFA presentation programs in which teenagers participated in the opening profit organization supported by FIFA. Charity ball helps socially vulnerable communities in different countries. 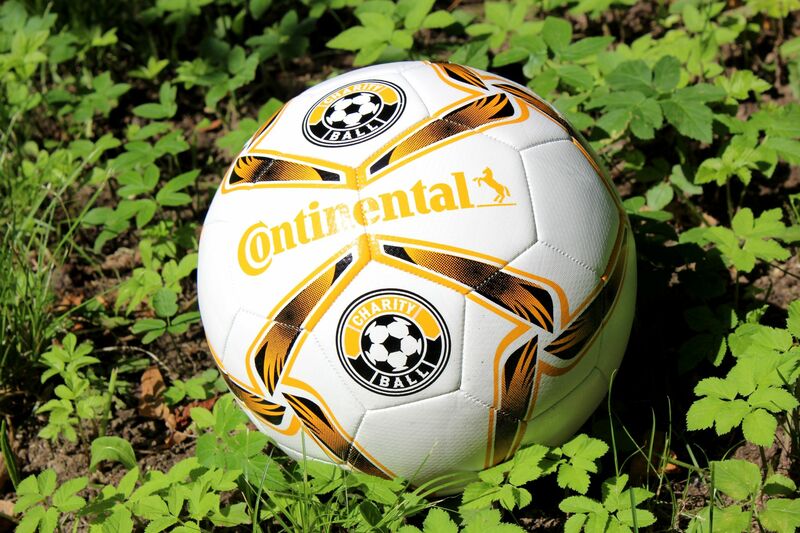 Representatives of the organization give children soccer balls as a symbol of the game, which brings together representatives of different races and origins. All great games begin with the ball in the field. It happened! A unique event in the world of sports! For the first time in history, the World Championship in football FIFA 2018, which takes place in Russia, was opened by Angelina Makarova, a 12-year-old girl with Down Syndrome. Trust fund "Love syndrome" as an accompanying judge went on the field with captains of national teams and together with the arbiter defined the roles teams of Russia and Saudi Arabia in the opening match of the world championship. Angelina studies in the 5th form of the Moscow school, she is actively involved in sports. She has a second youth category in swimming. Lina is the winner and prize-winner of all-Russian and city competitions for people with Down's syndrome in the category of LIN, the prize-winner of the Special Olympics games in individual standings on the short track. Angelina loves football since childhood. Twice a week she goes to the football team, where dozens Other children with Down's syndrome under the leadership of Alexander Sergeevich Makhov, dean faculty of physical culture RSSU, are engaged in football. For 2 years the social program FIFA "Football for Hope" in our country supports the education of children and adolescents with Down Syndrome of this game. Football teams for children with Down syndrome - the first Downside Up, Love Syndrome and Russian State University. Earlier, Angelina became the heroine of the photo exhibition # FOOTBALLVOBLAGO, which now takes place in International Airport "Sheremetyevo" and will finish on July 31. She and the other guys with Down's syndrome from the football team became the protagonists of the photo exhibition along with the players from the Russian national team and several football clubs, football legends, coaches and sports commentators. The exhibition is held within the framework of the All-Russian Charity Project # FOOTBALLVOBLAGO, based on the idea of ​​the social importance of football, its developmental and unifying mission. The funds raised during the project will be used to create football in the regions for people with Down's syndrome and the organization in 2019 of open competitions on mini- football in Moscow. Press conference devoted to the launch of World Autism Awareness Month has been held in Moscow. The event was attended by a number of heads of foundations supporting people with different mental health conditions, particularly Anna Portugalova, Director of the “Downside Up Charity Fund”, Lubov Arkus (“Solution in Saint Petersburg”, “Anton is nearby”), Natalia Vodianova (“Naked Heart Foundation”), Natalia Zlobina (“Solution in Belgorod”), Ivan Rozhansky (“Life Way”), Avdotia Smirnova (“Solution”). The main result of the joint meeting is signing of the Cooperation Agreement which will allow better involving government and society in solving problems of people with mental disabilities. Anna Portugalova, Director of the “Downside Up Charity Fund”: «It is very important for us. We appreciate a lot our colleagues’ work, and we are very glad to be partners. Our foundations have similar difficulties, common goals, and the shared audience – people with different health conditions yet with equal rights for good life. Every foundation has accumulated a vast work experience; we have much to share with each other. We are signing the Agreement to consolidate our efforts in overcoming difficulties that occur in lives of people under our care, and in creating new opportunities for them. Each of us is speaking about importance of supporting people with mental disabilities, but until now we were on our own. From now on, our many voices will merge into one which will be stronger, more confident and powerful, and which will allow us to communicate our vision of the situation, our suggestions and solutions. It’s great that we have become mature enough to do it together. The next step is to meet and discuss particular joint actions. Among main principles of the joint work the participants marked: creating sustainable schemes that could be implemented together with government bodies (executive authorities) and their subordinate education, health care, social care, culture and sport bodies; working out set of help measures that would be provided to people with mental health conditions during their lifetime; learning world’s best practice proved by researches; reforming psychoneurological foster institutions; raising society awareness; creating the Ethic Code. Tatiana Nechaeva, Director of the Family Support Centre, “Downside Up Charity Fund”: «Signing the Agreement is a very important step for all participants. I think that the moment is very appropriate, not just because April is the Autism Awareness Month. Down syndrome, autism, other mental health conditions have been talked about before. But now the question is being asked more often: what next? This issue is being discussed very widely at all levels: non-profit organizations, society, and government. It’s very important that every Agreement participant is using real experience in his/her work. This is worth of respect and trust. Teenagers attending vocational guidance and theatre workshop in the “Downside Up Charity Fund” went on a parent-guided tour of the Danone factory located in Lyubuchany village near to Chekhov. Young guests were warmly welcomed at the factory. Before the tour, they watched the film about safety rules on the factory together with the guides Nadezhda and Ksenia. 26 participants made up two groups – one group visited production facilities while the other was invited to product tastings and master classes. We were pleased that much attention is paid to safety and sterility on the factory. At the entrance the guests were asked to take off all jewelry; each group member was given a disposable cap, a robe, and special shoes. Then everybody washed hands with a washing liquid in a special room. It is noisy on the factory, so head-phones are a must. They protect ears and allow listening to what the guide says. Young people watched the process of packing ready dairy products into glasses and bottles. During the master class the guests could design a package and make a yogurt by their own recipe. The guests were given plain yogurt, cans with different jams, and empty bowls, they could mix different flavours and taste the result. After that, everyone created his/her own package design with the help of paints and brushes. The tour lasted for almost three hours, but this time passed very quickly. A press conference, confined to March 21st, “World Down Syndrome Day: problems of social adaptation in Russia” took place in Moscow. Participants discussed problems of development and social adaptation of children with Down Syndrome, programs of early intervention and inclusive education, perspectives of social adaptation in Russia. A head of the charity foundation “Downside Up” Anna Portugalova spoke on complex system of support for people with Down Syndrome and their families and shared research results made by the foundation. She spoke about problems that families face in different periods of life and discussed the need to build an effective integrated support system for people with the Down Syndrome and their families. At the same time, Anna stressed out that over the past 10 years, there have been many positive changes thanks to the efforts of non-profit organizations, including parental ones, to the efforts of the government, and noted a positive active role of media in this process. She also warned to avoid other extreme situation: showing possibilities of people with Down Syndrome one cites successful example and may create false feeling that there is no need to create conditions for including people with Down Syndrome into society. Everyone has different possibilities and even behind the most successful example stands hard work and support of specialists. A charity event supporting children with Down Syndrome had been held in Moscow`s State Geological Museum. The event was orginised by the “Downside Up” foundation and “Veles Capital” investment company. Guests of the event could enjoy performances of opera celebrities – The Bolshoi Theatre`s soloist Marat Gali and People`s Artist of Russia Olga Guriakova, who performed arias from A. Scarlatti`s, J. Puccini`s, P.I. Tchaikovsky`s and R. Wagner`s operas, duets from R. Schumann`s, E. Elgar`s and I. Kalman`s compositions. Artists were accompanied by an associate professor of the Moscow Conservatory, an international stage concertmaster Stanislav Dyachenko, who also have acted as a host of this evening, making a brief excursion into the history of opera music. As a result of the concert, it was possible to rally more than 400 thousand rubles for development programs of children with Down Syndrome. «Russian reporter» magazine presented a list of «75 most distinguished people of the country»— a study of positive reputation in public activities among benefactors, urban activists, human rights defenders, ecologists, educators and animal rights activists. Anna Portugalova — Director of the Charitable Fund «Downside Up» was noted with appreciation in the category of «Benefactors — assistance to elderly people, children, people with disabilities, and socially unprotected groups». In the preface of the publication on behalf of the editorial staff, they wrote: «This is not a rating, we don't categorize places. It is a way to get to know the country better. We initially thought of compiling a list of 50 respected people in five categories, given our limitations, as well as the number of interviews and expert surveys, that we could have accumulated. But it turned out that in one of the categories — among the benefactors — still cannot meet the top ten because of the large number of recommendations. We did not dare to make our choice arbitrarily without taking into account the views of experts. Then it turned into 75». Anna Portugalova, Director of the Charitable Found «Downside Up» told: «The fact that I was among the number of 75 the most respected people in the country is a complete surprise to me. This is not only a great honor for me. This is primarily the foremost recognition of services and activities of the Fund, the work of our entire team, I am happy to be part of. This year our Fund celebrates its twentieth anniversary, so recognition of merits of «Downside Up» just now is very symbolic. It is doubly pleasant and honorable to be in such a nice and reputable company. The fact itself is noteworthy that a known Publication noted different people of charity and public organizations, human rights activists, environmentalists, educators, and others. All those people who engage in good deeds really change the situation in our country and most important that these are not slogans, not words, but deeds and actions. Proactive people, who are caught with the idea, can energize others by their energy. The society had already appreciated those activities by the changes taking place in Russia. I’m grateful to «Russian reporter» magazine which brought up and voiced so important subject». This year the Downside Up Charitable Fund in Moscow celebrated its 20th anniversary. 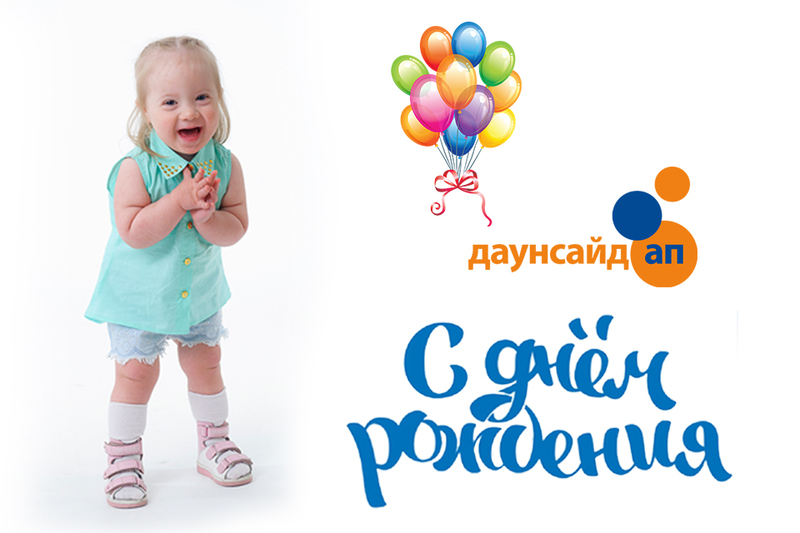 Downside Up is the first Charitable Fund in Russia aiming to improve the quality of life for children with Down syndrome and to dispel stereotypes about them. The Fund has already started to receive congratulations and presents - contributions to support programmes for children and teenagers with Down syndrome. You can help children by making a donation yourself or on behalf of your company at the Downside Up’s jubilee page. During this time, we have come a long way from a small organization that has helped several dozen families, to the Recourse Center that distantly supports thousands of people with Down syndrome in Russia and beyond. Currently the Fund processes, systematizes and transfers to other organisations gained experience, innovative in pedagogical and educational spheres. - Courses of enhanced qualifications for specialists have been developed, about 21 150 specialists, parents and NGO members were trained. - Thanks to awareness raising activities and «CHARITY SPORTS» events, which involved more than 19 000 people, the Fund made positive changes for families, raising children with Down syndrome. All these years the Fund was responsive to the changing situation in the social sphere and responded to the emerging needs of families. Therefore, Downside Up's teachers with 20 years of pedagogical experience, created a variety of family support forms: social support, studios of creative and social development for children, parents' club, electronic newsletters «VyrastayKA», training videos for parents, programmes for families with children older than 7 years, career counselling programmes for teenagers. They create and expanded opportunities for participation in sports for people with Down syndrome in Russia with the help of «CHARITY SPORTS. KIDS» programme and many others. There are many changes in educational sphere. Downside Up has already been working for several years as the Education Center, which provides trainings and methodological support for professionals (teachers, psychologists, educators, etc. ), who are working with children with Down syndrome and their families. After the course, each specialist receives a certificate of enhanced qualification of the state standard. There are also educational activities for parents. Published and distributed new speech development methodological guide for Children with Down syndrome «Let’s Start to Talk!» designed at Downside Up and followed by workshops. One of the most exciting and important events was establishment in 2016 charitable fund «Syndrome of Love». The new Fund has an important role – fundraising for ongoing and new programmes of Family Support Center «Downside Up» supporting people with Down syndrome. «I want to thank everyone who is involved in the Fund's activities - all those who were alongside Downside Up for 20 years, support our children, participate in our events «CHARITY SPORTS», those who joined recently! 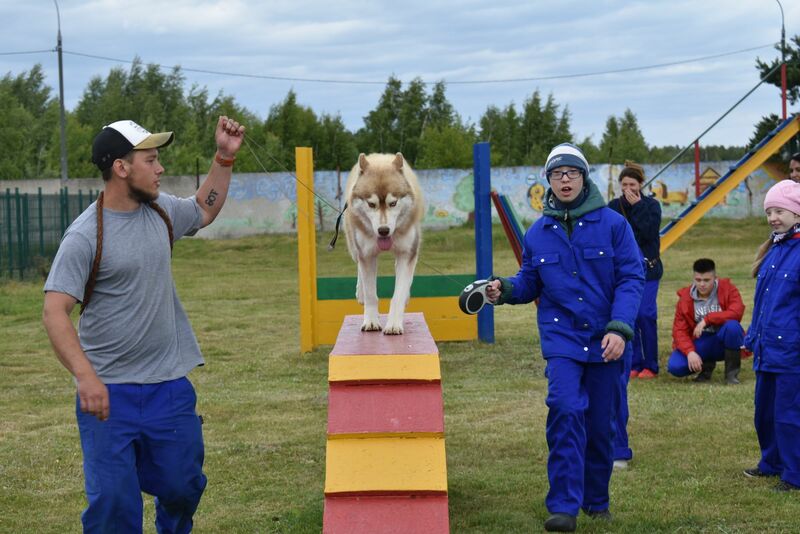 Thanks to our common efforts in Russia, there have been many positive changes in the lives of people with Down syndrome and their environment! Thank you for being with us!» - Anna Portugalova, Downside Up Director. The effectiveness of the Fund's programs is recognized at Russian and international levels by such organisations as the Ministry of Economic Development of the Russian Federation, the Institute of Correctional Pedagogics of the Russian Academy of Sciences, the Novosibirsk State Pedagogical University, the Russian State Social University, Down Syndrome International, European Down Syndrome Association, the International Society on Early Intervention, FIFA, Oxford University Press and others. Read more about Downside Up Charitable Fund celebrates its 20th anniversary!